Novak Djokovic has defeated Kevin Anderson to take the men's singles final. 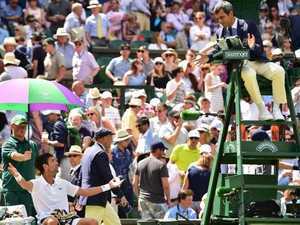 Tennis NOVAK Djokovic’s son has exposed Wimbledon’s other ugly and archaic rule that tarnished an iconic sporting moment. 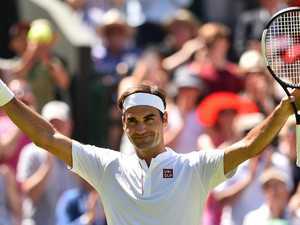 Tennis NOVAK Djokovic has spoken of the mental and physical anguish behind a fourth Wimbledon victory, revealing the one thing that picked him up off the canvas. Tennis DESPITE cynicism surrounding the Serb’s ruthless victory over South Africa’s Kevin Anderson, Djokovic’s win was rightfully earned. Tennis NOVAK Djokovic was furious with a vocal Wimbledon crowd as spectators cheered his misfortune in the final against Kevin Anderson.